Mix all ingredients together in glass bowl (the measure cup works fine) until powder ingredients dissolve. I use a whisk to do this, but don't whip to hard or you will have a bunch of bubbles. 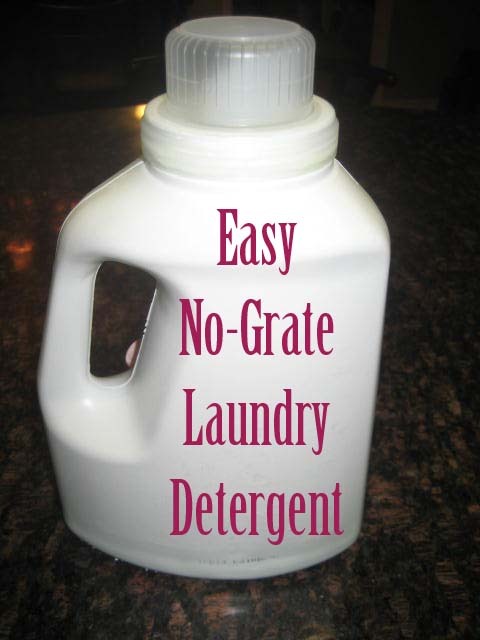 Once it has cooled a bit, you can pour it into an old detergent container (or whatever container you have handy). It is as easy as that. I use an 1/8 to 1/4 cup per load depending on the load size. If I am doing a white/light load and I want to brighten it up I fill up the bleach container(not really sure what you call it) with peroxide. This works great in front loader (this is what I have) and HE washers.